I can’t find enough research on the value of these programs. Some cognitive training programs have strong research support; others have none or very little. 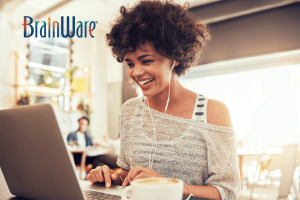 BrainWare SAFARI is supported by peer-reviewed published research, field studies in schools, and individual/small group case studies. All of these are publicly available at https://mybrainware.com/research-studies/. More than 30 studies have been completed and we continue to pursue research that extends our understanding of the program as it is used with different populations, of the impact of different usage protocols, of the best practices to yield strong results and of the sustainability of the cognitive gains we see. When it comes to research support, it is also important to ask whether the research looks at the impact on both cognitive measures and academic or some other measures that reflect transfer to real-life application. This is why many of our studies have used both independent cognitive assessments and academic and behavioral measures. Another question that typically arises in this context is the degree to which the research conducted is independent. Some of the research studies on BrainWare SAFARI are completely independent. Almost all are at least mostly independent. So, for example, the field studies we have supported in schools have all involved someone else administering the assessments (often standard assessments that are already administered in those schools and not just for the purpose of evaluating the impact of BrainWare SAFARI) and someone else using BrainWare SAFARI with students. How will I really know if the program is delivering meaningful results? 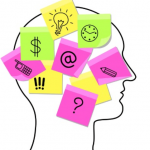 Many brain-training programs include built-in measures of performance and report your improvement on those measures. Unfortunately, growth on those built-in measures doesn’t necessarily mean you’ve accomplished anything meaningful. 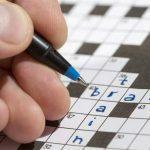 If you work at something, like a specific brain-training game, you will most likely improve your performance on that game. But often that doesn’t translate into improvements in academic or workplace performance or improved life outcomes. This is why we are such strong advocates of providing an independent measure of cognitive growth and using academic and other behavioral measures to evaluate the impact of BrainWare SAFARI. My student’s IQ is already high; I doubt it would have much of an effect. IQ and cognitive skills are related but not the same. An individual can perform extremely well in some areas of cognitive processing and poorly in others. For example, the term “twice exceptional” is used for individuals who have high IQ’s but some form of learning disability. In fact, everyone has cognitive strengths and weaknesses. Intelligence is not fixed and cognitive skills can be strengthened, including for individuals who are already high-performing. 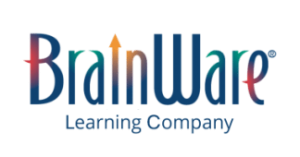 In fact, we see impacts across a wide spectrum of abilities with BrainWare SAFARI – with more students qualifying for gifted programs and remediation of underlying skills for individuals with specific learning disabilities. My student’s IQ is low; I doubt it would have much of an effect. This is the flip side of the question above but the implications may be slightly different. 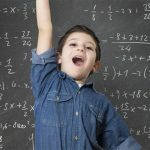 For individuals with previous low IQ scores, it has generally been assumed that the only way for them to be successful academically is through the use of accommodations, adjustments to the curriculum and supportive strategies. These approaches all involve working around weaker cognitive skills. The idea of working around them, of course, implies that nothing much can be done to change them. But nothing could be farther from the truth. 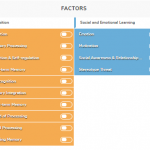 In peer-reviewed published research, students with specific learning disabilities have improved underlying cognitive processes, including working memory and attention virtually to the level of typically developing students. 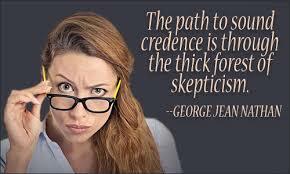 The best thing about skepticism is that you leave the door open to “see it with your own eyes.” The other day, we heard from a clinician who uses BrainWare SAFARI as one of the tools in her practice who had been in discussion with a very skeptical mother. The young man has dyscalculia. Now, in the exercise where you put the numbers in order, he has started doing it automatically. Before, he had strategies to visually help him, but now he didn’t need them anymore. I looked at his mom and told her, “I’d say BrainWare is helping him.” She nodded in agreement. She was literally open-mouthed shaking her head at what she was seeing. * Arrow Point Bridge is one of the twenty exercises in BrainWare SAFARI. It emphasizes directionality (Left, Right, Up Down, as well as the diagonals), integrating it with attention, oculomotor skills, timing and rhythm, memory and other cognitive processes).